Use pan with large surface are to boil milk. it will help to boil milk faster due to evaporation. While boiling/heating milk put a big spoon or ladle inside the milk. It will prevent milk from boiling over. 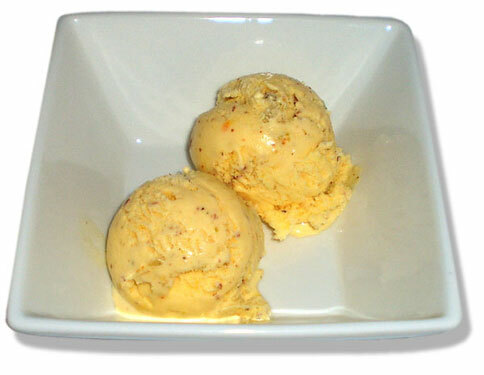 Kulfi is Indian version of ice cream that contains delicate spicy flavors of spices suchy as cardamom, saffron, cinnamon. Tradtionally, Kulfi is not whipped during freezing resulting in somewhat of solid dessert similar to frozen custards. Add cardamom to milk and bring it to boil. Reduce the heat and keep simmering the milk until it is reduced by one-third. Take cardamom out of milk by using strainer. Pour the mixture into container with lid. Freeze until firm. Stir the mixture every 30 minutes. 8 Serve by taking out of the container. Garnish with almond and cardamom seed as desired. For lower calorie kulfi, use less sugar. You can also use sugar substitute such as splenda but it may give your kulfi slightly different flavor.